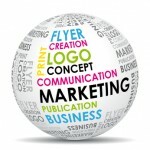 At UTD Web Design Waterford we offer various supporting Graphic Design services to our clients. You might want to differentiate your facebook account with a striking cover photo or profile pic, or create a corporate folder to create a physical printed version of your website that you can show to your clients. Don’t hesitate to contact us on 051 347747 or info@utdwebdesign.com should you wish to get a quote for our graphic design services.